New research, led by the University of Leicester, will optimise the welding and additive and manufacturing process. Arc welding and additive manufacturing are hugely important for creating large metal components relatively inexpensively and quickly. Led by Professor Hongbiao Dong from the University of Leicester’s Department of Engineering, the research has shown how to optimise this process to improve efficiency and cost. The research was a collaboration between the University of Leicester, Delft University of Technology, Diamond Light Source, University College Dublin and TATA Steel Research UK. It explores the internal flow behaviour in additive manufacturing of metals and arc welding – the most widely used welding process in modern manufacturing. The work focused on examining the melt pools that are created during the welding process. To do this, the team inserted small tungsten and tantalum particles into the melt pool. Due to their high melting points, the particles remained solid in the melt pool long enough for them to be tracked using intense beams of X-rays. The X-rays were generated using the synchrotron particle accelerator at Diamond Light Source, which is the UK’s National facility for synchrotron light. Beamline I12 was selected for this research due to its specialised high energy, high-speed imaging capability at thousands of frames per second. Using Beamline I12, the researchers were able to create high-speed movies showing how surface tension affects the shape of the welding melt pool and its associated speed and patterns of flow. The results showed, for the first time, that the melt flow behaviour is similar to that previously only seen via computer simulations. The results revealed that arc welding can be optimised by controlling the flow of the melt pool and changing the associated active elements on the surface. It is estimated that over 50% of global domestic and engineering products contain welded joints. 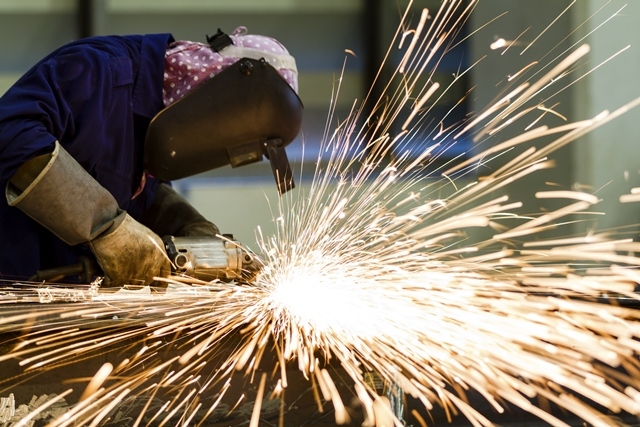 In Europe, the welding industry has traditionally supported a diverse set of companies across the shipbuilding, pipeline, automotive, aerospace, defence and construction sectors. Revenue from welding equipment and consumable markets reached €3.5 billion in Europe in 2017. The results will help with the future designing and optimisation of the welding and additive manufacturing process, and will have an important and far-reaching impact.